Asian puppet theatre is a treasure house of Asian grassroots religion, culture, history, ethics and entertainment. But with the rise of mass entertainment, puppet theatre has been banished to the fringes and performances of this sublime art form are becoming rare. Theatre performances may have dwindled but the impact of these beautiful puppets has not. 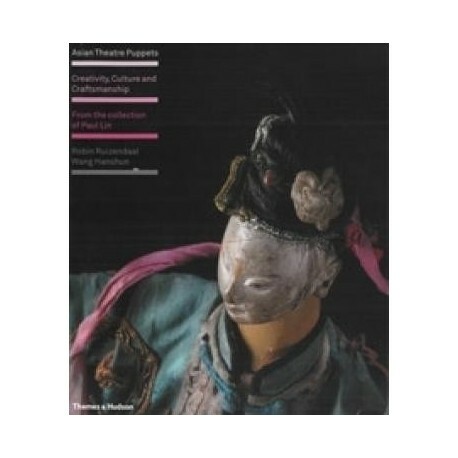 Their charm and exquisite craftsmanship leaps out from the pages of this book, which introduces for the first time the beauty of theatre puppets from all major Asian traditions. 300 colour photographs present the world’s most comprehensive collection of Asian theatre puppets and artifacts, the Lin Liu-Hsin Puppet Theatre Museum in Taipei. Taking the reader on an inspiring journey through hundreds of years of creativity, this beautiful book will not only appeal to people with an interest in Asian arts, but will also open up to the general reader a whole new realm of art.